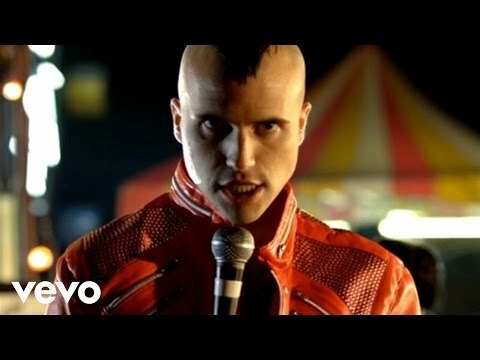 Neon Trees is an American alternative rock band from Provo, Utah. The band received nationwide exposure in late 2008 when they opened several North American tour dates for the band The Killers. Not long after, the band was signed by Mercury Records and released their first full length album, Habits, in 2010. Their first single "Animal" climbed to No. 13 on the Billboard Hot 100 and No. 1 on the Alternative Rock chart. 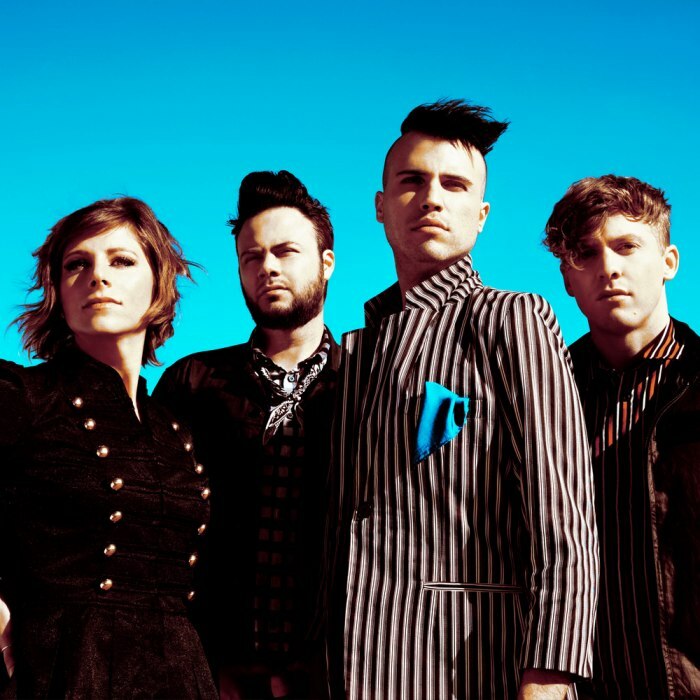 Formed initially by neighbors Tyler Glenn (vocals, keyboards) and Chris Allen (guitar, vocals) the band made its first home in Provo, eventually adding Branden Campbell (bass guitar, vocals) and Elaine Bradley (drums, percussion, vocals) to the lineup. David Charles also plays with the band as touring guitarist. 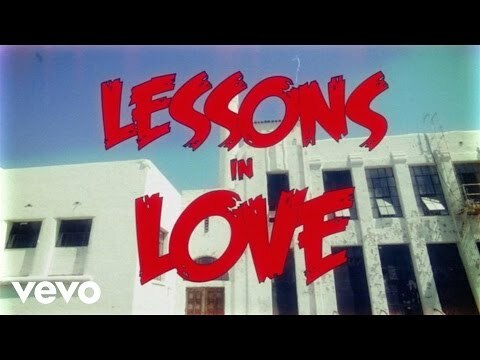 They first started playing under the name Neon Trees in late 2005 with five original members, Tyler Glenn and Chris Allen from California, and three veterans of the Utah music scene, bass player Mike Liechty, drummer Jason Gibbons and keyboardist Nathan Evans. The band's name originates from the lighted trees on the In-N-Out Burger signs, which inspired Tyler Glenn. In a strange twist of fate, it was later learned that Branden Campbell's father, Steve Campbell, installed the exact neon trees in the In-N-Out that inspired Glenn while working for a sign company out of Las Vegas. The band is well-known throughout Provo and Salt Lake City, Utah, where it was formed. 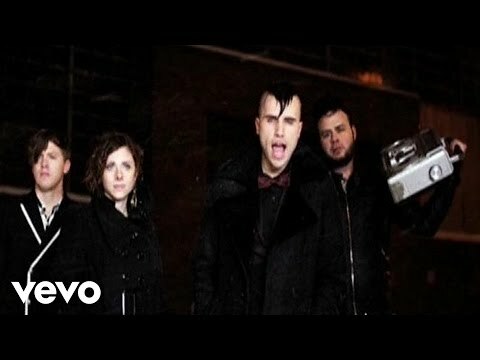 All four members of Neon Trees are members of The Church of Jesus Christ of Latter-day Saints. They released an EP called Becoming Different People in 2006 during the time of their first tour through California. The EP featured promising songs like "Snap the Flash," "Sister Stereo," "Modern Romantics," "Ashley Stevenson." They also recorded other unreleased tracks during the "Treehouse Sessions" in 2006. The band's lineup soon narrowed down to four members with Branden Campbell and Elaine Bradley joining the group on bass and drums, respectively. Shortly thereafter, The Killers' drummer, Ronnie Vannucci Jr., went to watch the band play at a small club in Las Vegas as he had been in a Ska band called "Attaboy Skip" with Neon Trees bassist Branden Campbell prior to joining The Killers. Ronnie was impressed, and as a result they were chosen to open for The Killers for a string of dates on their 2008 North American tour. Vannucci later helped the band sign to major label Mercury Records, which was announced in late 2008. Additionally, the group was voted Band of the Year in 2009 by City Weekly, a popular Salt Lake City publication. Branden Campbell also featured as the bassist for Americana group Parlor Hawk on their award winning album Hoarse & Roaring (2010).